With 2012 being American Classic's 30th anniversary they are emerging as a bicycle industry leader in the wheel and component design arena. 3 decades of passion they have embraced improvement, fearlessly fusing engineering technology, quality and style. A perfect choice for racing, training, or cyclocross, Hurricane wheels create a balance between strength, weight, responsiveness, and durability. 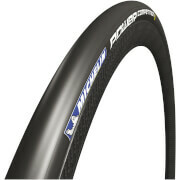 The Hurricane wheelset is a high performance clincher wheel for the large and powerful road rider. The rims are tough enough to handle mud, rough roads and cobblestones. These wheels are comfortable for long rides and loaded trekking. 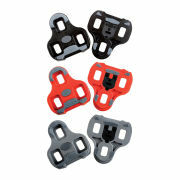 They are the wheel of choice for Sprinters and Clydesdale riders. Spokes: 32 Front and rear AC 14/15 gauge spokes. 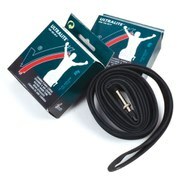 Rim: 24mm aluminium Clincher, only compatible with clincher tyres. Freehub: Shimano/SRAM 9/10 speed or Campagnolo 9/10/11 speed. Weight: Front 745g, Rear 855, Pair 1600g (manufactures claimed). Includes: Front and rear wheels.